This is my favorite winter salad. Fennel, grapefruit, and aged Manchego cheese. I forget where I heard of this, or if it's something I partially saw and tweaked, but it's a staple salad for at least 5 years in our household in the snowy months. 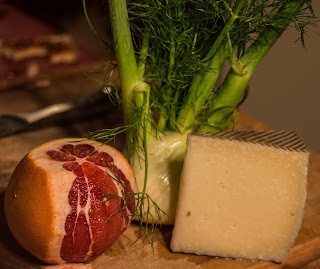 The salad couldn't be simpler: core and thinly slice the fennel, thinly slice the manchego, and peel and segment the grapefruit. Combine and drizzle with good olive oil. 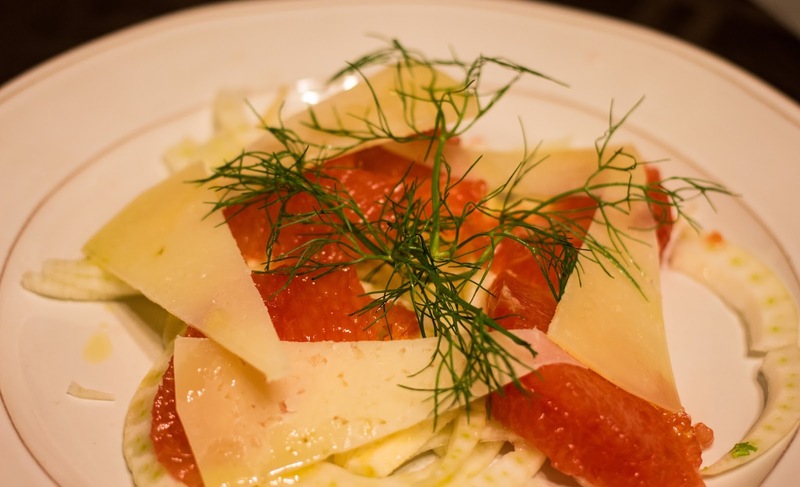 The crunch of the licorice-scented fennel, the stronger notes of lemon and lanolin from the aged, raw sheep's milk cheese, with the juicy grapefruit segments collapsing into a citrus dressing that brightens the dish as a whole. The olive oil reinforces of the richness of the small slivers of cheese, while bringing some fruity notes to the salad.